Android tablets are everywhere. There are tons of options out there for buyers, so for a new tablet to make its way to the market and make a splash, it needs to do something original and exciting. It’s a scary market for a new company to enter, but that certainly isn’t stopping plenty from going all in and attempting to build new devices. Enter the Wikipad, a new 7-inch Android tablet with something of a twist. While the tablet portion of the device might seem pretty standard, it features a dedicated gaming controller attached directly to it. Is a dedicated gaming controller enough to make the Wikipad a device worth owning? Is it simply a run-of-the-mill tablet with a useless gaming controller? Keep reading to find out. Best of all, we are giving one of you lucky readers this brand new gaming tablet! As I mentioned, the Wikipad is a 7-inch Android tablet that’s sold for $249 and comes with a dedicated gaming controller which wraps directly around the device. With that in mind, its primary purpose is to function as a portable gaming system. While it can handle everything a regular tablet can, that’s really not what Wikipad was designed to achieve. Can you run a web browser, navigation, and all kinds of apps? Sure, but so can any other tablet on the market. Can those other devices play video games? Yes, but not with the physical buttons of the Wikipad. The Wikipad actually has two completely different sets of competitors. First, it has devices like the Google Nexus 7 Nexus 7 vs. iPad Mini: A Comparative Review Nexus 7 vs. iPad Mini: A Comparative Review If you're shopping for a 7-inch tablet, there's absolutely no shortage of options. It's undeniable, however, that the leading choices are Apple's iPad mini and Google's Nexus 7. We've reviewed both of these devices individually,... Read More and the Samsung Galaxy Tab 2. On the other hand, it is also occupying a similar space to Sony’s PlayStation Vita PlayStation Vita 3G/Wi-Fi Review And Giveaway PlayStation Vita 3G/Wi-Fi Review And Giveaway Today, we'll be taking a look at the PlayStation Vita (specifically the 3G/Wi-Fi model), Sony’s latest entry into the portable gaming space. How will it hold up? Read the review to find out. Plus, we'll... Read More and the Nintendo 3DS Nintendo 3DS XL Review and Giveaway Nintendo 3DS XL Review and Giveaway Among all the big names in gaming consoles, Nintendo is definitely among the top favorites. As a '90s kid, I associate much of my childhood with playing Nintendo games. I remember growing up with the... Read More . After all, it can be considered a portable gaming device. On all fronts, the Wikipad‘s $249 price tag is very competitive. The Nexus 7 sells for $199, so the Wikipad is only $50 more. It costs exactly the same price as the PlayStation Vita, so in terms of pricing, it’s actually a strong competitor in relation to other devices on the market. When buying a tablet, the core specifications, while not the most exciting part of the buying process, is most definitely something you are going to want to know about. In the case of the Wikipad, the specs are very impressive, as the device features all the performance on the inside you could want. To start with, the device features a 7-inch, 1280×800 display. The images on the screen are created through the power of an NVIDIA Tegra 3 mobile processor with quad-core CPU. It also comes with 1GB of RAM, which is more than sufficient for what the tablet needs to accomplish. It comes with Android 4.1 Jelly Bean installed out of the box, so it has features like Google Now available. For connectivity, it only comes with dual-band WiFi, not 3G/LTE. This means you can’t get a version that allows you to put a SIM card in for the purpose of connecting to cellular data. It also has a USB port for charging and an HDMI output for hooking it up to a television. Its 16GB of internal storage can be expanded through microSD cards. Lastly, the Wikipad features a 2MP front-facing camera. This is the only camera on the device, and it’s definitely lacking. With the high-performance processor and graphics card, it seems likely that Wikipad kept a lower-end camera to keep the price down a bit, since this is, after all, a device built primarily for gaming. A quick look at the Wikipad without its gaming controller makes you realize that it looks a lot like a Nexus 7. Other than the Wikipad logo on the back, the two devices are close to identical. That’s not a bad thing by any means, because the Nexus 7 is a beautiful device. The interesting part of the design is the controller sleeve that wraps around the tablet. It adds almost 4 inches to the width of the device when attached, and it changes the weight from 0.73 pounds to 1.47 pounds. Obviously, this a quite a bit of extra size, so it’d better be worth it. We will get to the actual performance of the gaming peripheral later. The gaming buttons should feel pretty standard to anyone who has used a modern controller. It comes with two joysticks, a direction pad, four face buttons, a forward and back button (most games use these as start and select), two triggers, and two shoulder buttons. When the gaming controller is attached, I can’t help but think it looks like a giant Sega Game Gear with a bunch of extra buttons. This is not a bad thing, as the Game Gear was a fine-looking device. Having the gaming controller wrapped around the tablet looks natural. One of my biggest fears for the look of the device that attaching a gaming controller would look forced and out-of-place, but it definitely does not. It’s time to get down to the serious matter here: how does this device function as a portable gaming system? Let’s put aside the web browser and all that other nonsense and look at this thing as if it was only built to play games. After all, that’s very likely what most Wikipad owners will be doing. First, the device comes with a few games out of the box. Dead Trigger, which is one of those games, was the very first game I booted up. And I have to be completely honest, I was not impressed. The controls felt very awkward, and I was just about ready to write the device off completely. Of course I didn’t, and I moved on to another preinstalled game called Hockey Nations. In this game, the controls felt fluid and natural, almost like I was playing the game on a massive PlayStation controller. Now that I was a little happier with the gaming experience on the device, I moved over to NVIDIA TegraZone –NVIDIA’s app store, which also comes installed out of the box — and looked for another shooter to try. After all, many gamers are going to want to use this device to play this genre, so was Dead Trigger just a bad example? Yes, it most certainly was, because The Conduit HD felt awesome. It had a lot more auto-aim assist than the previous game, which made it feel a lot more comfortable on the device. For my next venture into gaming on the Wikipad, I decided to boot up a Super Nintendo emulator. If you know anything about me, or have read the slew of articles I have done on classic game collecting, you know I own legal copies of the games I emulate, so don’t worry. Like playing games built for the controller, I found playing emulated SNES games to be a joyous experience. The controls felt comfortable, and while I preferred to use the D-pad for classic games, they work with the joystick too. So what games can you play on this contraption? The company has an official list on its website. It’s growing, and more games are added regularly, but there is enough to get you going. Some of them games are even free, like the aforementioned The Conduit HD. Some apps, like the emulators, are not listed, but they do work, as long as they support controllers. There is no way to custom map controls as the player, so it does have to be included in the game for it to work. Another nice feature on the Wikipad is the ability to play games from PlayStation Mobile. Here, you can get access to plenty of PlayStation games and mobile games not available on other Android hardware. It’s rare for Sony to authorize a device not made by itself, so this is a great place to get a ton of games, even if they all don’t support the controller. Overall, I think this tablet is a great gaming device. However, it needs an expanded game library if it wishes to compete with the likes the Vita (which is actually lacking in its own library), and the 3DS. Of course, you can play a slew of touch games like any other Android tablet, so it does have that over the other portable consoles. Still, it’s the controller that attracted me to the Wikipad, so those are the games in which I am most interested. Can’t I just buy one of those third-party controllers for my existing tablet? Of course you can — and if you already own a tablet, that might be the more cost-effective option. The big difference is that Wikipad is working with developers to bring support to games. This means that the best Android games that work with the Wikipad will work well with the device, and controls should never feel shoehorned in. In addition, the Wikipad’s controller fits around the device much more comfortably than most third-party controllers because it is made with this specific tablet in mind. That being said, there is nothing wrong with buying a controller for your existing tablet, as spending $250 when you already own one might be a waste. Of course, to only call the Wikipad a gaming device would be missing a key part of what it can do. It comes with a pretty stock version of Android Jelly Bean, which means it can do just about anything you expect from such a device. Google Now? Check. Maps? You know it. Google Play and all the apps that come with it? All there and ready to go. The 1GB of RAM and powerful processor make this device feel incredibly snappy. Everything launches almost instantly, which makes it quite functional for day-to-day usage. Even with tons of apps running in the background, I never once felt the tablet slow down at all. There really isn’t anything bad I can say about using this device as a standard tablet. Of course, if you are used to an iPad or larger tablet, the 7-inch screen might feel a little too small for you. I actually found that, as an iPad owner who has not charged or turned on his tablet in months, I actually preferred the smaller screen. Basically, the best way to sum up the Wikipad’s tablet functionality is to say if you want a fast tablet that runs Android Jelly Bean, this one will do the job as well as any other on the market, but with all the aforementioned gaming features. Of course, if you don’t like Android, then no amount of additional gaming hardware is going to sell you on the Wikipad, because at its very core, it’s a pretty standard Android device. We’ve discussed the two different functions of the Wikipad, so now that begs the question: how does it all work together? It really comes together as an incredibly complete device. While a console like a PS Vita or 3DS is primarily a gaming device, and a Nexus 7 is aimed at being a tablet that can play games, the Wikipad blends both together seamlessly. Because the gaming controller just slides in and out, it is easy to switch it back and forth between gaming and tablet usage. Of course, if you want to use it as a tablet while on the go, and want the controller with you, you are going to have to carry around another piece of hardware, but thankfully, the controller is not too big or heavy. Overall, I must say I was impressed with the Wikipad on almost all fronts. Being an iOS guy, I did not quite know what to expect from this device, and it surprised me both in its performance as a tablet and a gaming machine. It offers a similar level of power to other tablets around the same price, and it does so with a fantastic piece of additional hardware. MakeUseOf recommends: Buy it if you are in the market for a new Android tablet and you enjoy a more traditional gaming experience with physical buttons. How do I win the Wikipad Android Gaming Tablet? The giveaway is over. Congratulations, Matt Kundert! You would have received an email from jackson@makeuseof.com. Please respond before August 4 to claim your prize. Enquires beyond this date will not be entertained. This giveaway begins now and ends Friday, July 12th. The winner will be selected at random and informed via email. Explore more about: Android Tablet, Game Controller, MakeUseOf Giveaway. Because it looks easy to use. ...it has 1GB of RAM and a powerful processor. The Wikipad is a great gaming device because it can be used for gaming and also as a tablet. It is so compact, convenient, and fun!!! Because it is a lot of fun to play with. It offers a great control scheme for mobile games. I would love to play some Gameloft titles with a true controller. Because it is a double use device. Saves space and money for a start. It works for everything ! The Wikipad is a great gaming device because its design is unique. The Wikipad is a great gaming device because it can play games from PlayStation Mobile and TegraZone. it maximizes the capabilities of the hand, giving the player more flexibility and fast reaction time. Nice size for gaming and familiar controls make it a great device. it's a great excuse for buying a tablet! The Wikipad is a great gaming device because it has a tegra 3 quad core processor, 1GB ram, and a gamepad. If I win, I'll give it to my 13 yr. old grandson. He would love it. The Wikipad is a great gaming device because it has a controller and can be use in gaming and also serves as tablet. I love it..
Sweet prize. Thanks for the chance to win it. not only does it have a portable and removable gaming controller as that of a typical play station but also allows you to view your game at the palm of your hands through the tablet that fits onto it! cool! The Wikipad is a great gaming device because of the small design and cool features. The Wikipad is a great gaming device because it is powerful and versatile. The Wikipad is a great gaming device because you can use it as an tablet and as a game console with the controller. because... my son would love to have a tablet and a game controller connected! of its great performance and its controller. You can take it with you!! On trips! With the kids! My son could actually play Minecraft on a tablet...this is great! The gaming controller comes with it! Great idea!! The Wikipad is a great gaming device because it appears to have the best of both worlds. I'd love to own one. Because it is easy to take on trips with the kids. This thing looks awesome. I want one! The Wikipad is a great gaming device because it will occupy the children why I clean house! Portable as all get out. because its have gaming buttons, joysticks, a direction pad, face buttons, large screen & a lot games from play store so make it very enjoy on gaming! My family would love it! while a console like a PS Vita or 3DS is primarily a gaming device, and a Nexus 7 is aimed at being a tablet that can play games, the Wikipad blends both together seamlessly. this gives a hybrid of possibilities. I like it! Its a GREAT device because its different and i think my boys would love it! Thanks for the opportunity! The Wikipad is a great gaming device because of the controller. The Wikipad is a great gaming device I hate plus on Touch Screen. Can't beat the double whammy. It's great cos of its dual use - tablet as well as a controller. Wikipad is a great gaming device because it can be used as gaming device while enjoying a tablet form and factor and functionality! The Wikipad is a great gaming device because it is a hybrid of gaming and tableting! The Wikipad is a great gaming device because it can gaming tablet at the same time! Able to play android games with proper controls. The Wikipad is a great gaming device because of its open operating system and access to Google Play. Because its affordable plus a tablet when plugged out of the gaming case. it lets you play all those Android games like a handheld system while also giving you a standard tablet. its portable,small and for families that are always on the go. A gaming tablet the whole family can use and love! Because it is a cheap option not just for gaming, but as an android tablet and all games I have already bought bought for my android devices can be used for this, so great money saver. The Wikipad is a great gaming device because... its capable of handling most of my favourite games and also the price which makes it a cool gadget to own. The wikipad is a great gaming device because it has an actual controller. Plus it's a tablet! Gotta get me one!! The Wikipad is a great gaming device because it runs the android system but has physical buttons! The Wikipad is a great gaming device because it is different from all other devices and I really like to play games! It has a great design! because you don't have to use the touch screen to play the game! the game controls make it very easy to use. The Wikipad is a great gaming device because it supports a hardware controller, but the controller is detachable; it also plays (just about) any Android game, as well. ...it is based on an open platform that is growing every day. The Wikipad is a great gaming device because its multifactorial in that it can be used as a controller or tablet. The Wikipad is a great gaming device because it comes with great hardware that ensures quality graphics and fast performance. This is important for the wide variety of games on the android market. Because it reminds me of a Sega Gamegear and that was the best hand held device ever... So naturally that nostalgia mixed with Android is easily a recipe for awesomeness! Because it looks like a great device for the money. The Wikipad is a great gaming device because it combines the functionalities of an Android tablet PC and a portable handheld games console effortlessly. Powered by an NVIDIA Tegra 3 processor, one gets access to the NVIDIA TegraZone out of the box, which has a good range of games. The Wikipad is a great gaming device because i like gaming. the wikipad is a great device because it has it own new style an easy controller. because it has a detachable gaming controller (rather than using just your figures on a screen. because, technology-wise, it is only 18 months behind away from dedicated portable powerhouses like the PS Vita while offering better ergonomics, portability and functionality for gaming than either the Vita or other Android devices. it's portable and still plays games relatively well if you weren't lying to us in the review. Because you can use it as a game console without having to use to screen as a controller. Awesome idea! Of its performance and affordability! it makes playing games so much easier. 3) They're working with (game) developers in order to get direct support built into numerous popular Android games. Oh boy, my son will love to have this. Thank you for a chance makeuseof. It allows for real gaming action for android games you know and love. The Wikipad is a great gaming device because it offers you an experience completely different from others. It has a beastly Tegra 3 in it to run games very smoothly! It is very versatile. I can use it as a tablet or as a gaming device whenever or wherever I desire. i can finally play my favourite android games without glitchy touchscreen control buttons! fab piece of kit. it's a great gaming tablet because it's very portable easy to carry you can play anytime anywhere. It offers everything that you would want! it can be used as a tablet and a gaming device. It's a great gaming device because it's portable and you can bring it along wherever you go! Also, it's a great size; not too big and not too small. The Wikipad is a great gaming device because it uses Android and makes it easier to play tablet games. Plus the addition of Playstation Mobile! This is a great merger of the tablet and gaming console and will let users get a feel for something all together in its own league. ... it doesn't run Windows. has a variety of multi uses besides gaming! You get the versatility of a tablet and hand held gaming console in one. ...because of the pairing of Android and its wealth of developers together with a controller that takes away the limitations of touchscreen game control! because of its controller feature. A fairly good tablet for web use, but designed for gaming. The Playstation Mobile feature is a nice plus you'll not see elsewhere. of it's size, features, and price. I'm giggling like a little child inside now! It's unique, and I want one! it gives gamers something easier to use. I actually just purchased an otg cable in hopes of using my ps3 controller on my tablet/phone. It is what a gaming device should be! Its best of both worlds. The Wikipad is a great gaming device because of its competitive price point. The Wikipad is a great gaming device because of its amazing controller. The Wikipad is a great gaming device because it is an affordable traditional console gaming machine with the power of a tablet that provides a quality environment for both gamer and serious work use. The Wikipad is a great gaming device because IN ADDITION TO having stellar technical specs (quad-core CPU, 1 GB of RAM, HDMI output, Android 4.1 Jelly Bean, dual band wi-fi, Google Now and Play), it comes equipped with an intuitive, user-friendly, controller that will feel great to both veteran and novice gamers. The Wikipad is a great gaming device because it is small portable. (The Wikipad is a great gaming device because) it looks good as a tablet, and the buttons/controller is what I'm used to. It's be great fun! Because it is integrated with a additional gaming controlling device.That eases the gaming controls in the game and a different experience all together a best one i have seen so far in the gaming gadgets. I love the concept of this design.Kudos to the developers. .. it allows you to do more than just play games. The Wikipad is a great gaming device because it runs on android!! The Wikipad is a great gaming device because... you can play emulated SNES games! the cool factor, controller, geek points! The Wikipad is a great gaming device because i dont have one ! Because it has great hardware, and it is an affordable tablet. ... it blends the functions of a gaming device and a tablet seamlessly. The Wikipad is a great gaming device because...it prioritizes Fun and redefines portable gaming. Complete this sentence: The Wikipad is a great gaming device because... it is affordanle and has great games available. because its a tablet and a game console with a controller in one. The Wikipad is a great gaming device because it has controller capabilities as well as tablet functions giving it the access to both worlds, portable gaming device and android tablet. The Wikipad is a great gaming device because of its flexibility. The Wikipad is a great gaming device because it provides the specs and power to run stock Android, without any sacrifices in performance and usability, and can connect to the thousands of games optimized for controller input in the Play Store! The Wikipad is a great gaming device because...it's launch signals a transformative change and/or turning point in the direction of the mobile gaming industry. Go Gamers! it is portable and plug and play! it has a nice look to it. The Wikipad is a great gaming device because it gives a PSP like experience on your mobile phone. The dedicated and attached controllers are pure genius! The Wikipad is a great gaming device because of the sturdy controls and easy integration with other screens. The Wikipad is a great gaming device because of it Tegra 3 quad core processor!!! and 1g ram!!!! not to mention its android 4.1 Jellybean :))) the controllers <333333 I die for it.. It's traditional controller of coursE! Touch screen nowadays are overated. I wanna try this gadget. It's a must have! Great gaming device. The Wikipad is a great gaming device because... I have been researching the market for a decent tablet that can handle high end android games and the wikipad seems to have nailed the spot! because... because... Well, I don't really think it is, considering it's the same price as Vita and still more expensive than the DS. Though, on the flip side, it forces some devs to support the controller :p Oh, it can be because it's a good Android tablet with additional gaming capabilities and support, while still competitively priced! of its versatility as a gaming device. THE WIKIPAD MAKES THE DIFFERENCE DUE TO ITS PHYSICAL BUTTONS FOR A REAL GAMING EXPERIENCE. Because I can play it like a nerd in the back of my tech classes. The Wikipad is a great gaming device because it is made specially for gaming. It has a great keypad and affordable portable gaming. Also, with its progression of porting other handheld games to this tablet makes it a superior product compared to others that do not have the same mindset for their tablets on the market. I like that this has gaming controls as well as operates as a tablet. It is the best of both worlds. great for gamers on the go nice sized screen. I'm bored of the PSP. the wikipad is a great gaming device cause one cannot simply place FPS games on touch surfaces without blocking a lil bit of the screen. It's priced we'll and makes GAMING the emphasis not the side note! Because it seems to have EVERYTHING! Truly an amazing looking piece of technology. The Wikipad is a great gaming device because it allows the gamer to control the game with physical controls. The Wikipad is a great gaming device because it's portable and the controller attachment is awesome. he Wikipad is a great gaming device because...it just looks cool and can be used as a tablet too! The Wikipad is a great gaming device because... of its portability. You can use it as an tablet or as a game console with built in controllers. The Wikipad is a great gaming device because all that i need for an android tablet and game gadget is found in this truly wonderful device. It is a gaming device or tablet. Pretty cool! you can play, you can work, you can not leave it! ... it is so versatile! The Wikipad is a great gaming device because it combines the best of both worlds. :) You get a normal tablet but can offer it to the kids (or, in my case, grandkids) for games. I counted just now and I have five kids' games on my phone. I don't play them; I play card games, word games and the like. I have over a dozen games just on my phone! My 10 year old grandson loves to play games so he is the one I have in mind for a gift. Great review as usual. it will make gaming so much easier! Simple! It is more than just a gaming device! It's a cool add on to your mobile platform. ...my 12-year-old grandson would love it! because it is so versatile. Love the controller. its specs and the controller for great gaming experience.. plus the ability to play lots of games such android and sony.. The Wikipad is a great gaming device because... You gotta have a good controller! ...great gaming device for game enthusiasts that are on the go. Attach the Wikipad to the portable game controller and BAM - you're ready to play any game, any time. The Wikipad is a great gaming device because of the dedicated gaming controller attached directly to it. of its' portability and full featured controller. Because it's innovative and new. A lot of great (classic) games don't work well with a touchscreen, so the wikipad is great because it adds the controller these games need. The Wikipad is a great gaming device because it is portable, multifunctional, and easy to use. The Wikipad is a great gaming device because it has game controller and also play games at Playstation mobile. The wikipad is great gaming device as its hybrid tablet/console mode offers a extensive range of controls and make the games even more fun. We can always change the mode of gaming according to our convenience. This gadget is truly on the upper limits of awesomeness. The Wikipad is a great gaming device because is more than a gaming stuff! ...it is flexible and allows me to game on the go or to just have a nice little tablet for all of my nice little tablet needs. because it uses android! and it rocks! because... I can game on the go! is a great gaming device because... it has A: a controller B: great specs for gaming on a mobile device C: a dedicated app store for games designed for tabs. its an allround gaming device. The Wikipad is a great gaming device because it has physical buttons to experience android! my boy's would love this, a tablet and a gaming add on, how cool is that! Because it uses opensource software and has a virtually unlimited amount of games for a fraction of the price of conventional consoles. The Wikipad is a great gaming device because it combines a big comfortable touch screen with a dedicated plug n play controller. Best tablet of the combination of as a gaming tool & a tablet all in one! The Wikipad is a great gaming device because it's small, compact, has good hardware plus it can be used both as a tablet and a gaming device. it is a portable gaming system and who doesnt like that? The Wikipad is a great gaming device because of it's versatility. very versatile, easy to use, and can be used as a tablet as well, which you cannot say that about other portable gaming devices. Because its a controller and I want to win it. Oh My God, endless most valuable giveaways. it is great for gaming and also used as tablet. The 1GB of RAM and powerful processor make this device feel incredibly snappy. Everything launches almost instantly, which makes it quite functional for day-to-day usage, even with tons of apps running in the background. Sounds good. My grandsons will give it a serious user test. The Wikipad is a great gaming device because of its design, controls and flexibility. The Wikipad is a great gaming device because pf its performance and its controller. Outside of answering the question for a chance to win, I think this tablet has the potential to be extremely useful and a great tool for note taking on the go and keeping up with my meetings, etc. But it will also a be sweet tool connected to all gaming sources that I can grab to sneak in a little game time during the day. I can't wait to play with one. we have seen phones, tablets, phablets but this is...a GAMBLET!!! Because it can play alot of different games and has a Tegra processor of course. It's a portable gaming system capable of handling sophisticated games! The Wikipad is a great gaming device because it's free and daddy needs a gaming tablet! The Wikipad is a great gaming device because it can do just about anything and my nine year old son would love it. The Wikipad is a great gaming device because.. you can play new games from NVIDIA TegraZone, PlayStation Mobile or take a stroll down memory lane using a emulator to play classics. you can also use it as a tablet. Because it's convenient for gamers!!! It has a controller to play games! Tegra 3 + 1GB RAM + removable gamepad = gaming for fun and computing for getting work done. The Wikipad is a great gaming device because it's a gaming device that's great. I like that it is expandable. The Wikipad is a great gaming device because it is an innovative venture that can open doors to future handheld, portable tablet/consoles. The Wikipad is a great gaming device because it's game for great gamers. ... though it has as much power as a regular tablet of comparable price it delivers that along with a really nice piece of additional hardware. of its performance and its controller. it's not just a gaming device, and it runs Android. it has the best features ever!!! It would be much easier to play games with a controller, especially one that is integrated like this. it allows the use of old fashioned physical buttons. For anyone born in the 80´s that´s always a plus! Because it is new and with an awesome keypad. The Wikipad is a great gaming device because... It offers the best of both worlds, Android Device and Portable Gaming System. ... it is Android (open, thriving development community) yet built-for-purpose hardware. A: Its great in its performance as a tablet and a gaming machine. The Wikipad is a great gaming device because it offers a similar level of power to other tablets around the same price, and it does so with a fantastic piece of additional hardware. because its built to maximise the users gaming experience because of the open source android platform it uses. anybody can build games and emulators for it. this is why the Wikipad is a great gaming device. .... it can function as both a portable gaming device and a full-featured tablet. because I would like to try it. ...because of the business model around the games now becoming available through Android Play Store....I can try before I can buy! Like a test drive! How does one become a "fan" on Facebook? Complete this sentence: The Wikipad is a great gaming device because... it was made just with me in mind. ...of it's detachable controller that lets you quickly convert to a tablet device, and the speed of it's CPU. The Wikipad is a great gaming device because of its dedicated controller that comes with the tablet which you'll not find in any other gaming tablet. The Wikipad is a great gaming device because it's have an awesome specs in a table and awesome gaming tool for gamers like me. The Wikipad is a great gaming device because it's have awesome specs and tablet with gaming tool for gamers like me. I don't have a gaming device now and need one badly!! The Wikipad is a great gaming device because I can play my emulators on the go. The Wikipad is a great gaming device because... the controller case is pretty nifty. It has the convenience of the controller and the power of android tablet. I like the feature of being able to use HDMI to connect to your tv. The micro sd slot means extra storage space. And of course the wifi for connecting to the world. Wikipad is gaming device and a tablet all in one! It's a great gaming device because it has the familiar controls of gaming devices combined with modern tech. The Wikipad is a great gaming device because it has a great controller. The Wikipad is a great gaming device because you can do all the stuff u want there like what ur doing in a smartphone.. but, it is more comfortable to use in gaming.. The Wikipad is a great gaming device because of its performance and its controller. It's a game and a tablet. ... tablet and old school gaming in one device! That IS awesome! ...it has a wee stick. IT's special in its own way, too cool not have it! The Wikipad is a great gaming device because you can customize it, thanks to Android. It can be used as a tablet as well as a gaming device. It also has a good sized screen, it is portable and handy. it has a powerful processor, and game controls that detach when not wanting to play games. it's designed for games and it's easy to use. because it can be used for more than just gaming. Its best of both worlds. Keep it up. Good thinking use it as a tablet and whenever you like you can change it to a gaming console. Others should also do it. The Wikipad is a great gaming device because more and more games from various platforms are being developed specifically for this device's interface, yet when fun time's over, it can be used as an everyday tablet. Because the controller on it looks like it would be amazing to play games! It is very portable and has amazing games as well it can be used as a tablet with amazing graphics. The Wikipad is a great gaming device because it's got great controls! of it's perfect perfomance and unique from the intelligences inovations..
...it feels more natural playing with a controller than swiping. It is a marvelous device! ...it allows emulators with physical controls, for us purists with a gaming collection. The Wikipad is a great gaming device because those joysticks are joyful! The Wikipad is a great gaming device because...it gives you the best of both worlds a great gaming device plus a handy tablet. The Wikipad is a great gaming device because..it's base on Android and has a lot of games for it. Better than Apple. it has a physical controller. Sorry, I'm sold on the nVidia Shield. The Wikipad is a great gaming device because it will play "regular" Android apps, and also those that can take advantage of its gamepad, buttons, and sticks...for example, emulators like MAME, and games that use the controllers won't have your fingers in the way! Woah, the pool is closed. It looks like a great product. It reminds me of the good old Sega Game Gear. The Wikipad is a great gaming device because it's also a tablet! The Wikipad is a great gaming device because it has great RAM and a marvelous controller. Also, it works well as a conventional tablet. it combines a traditional tablet with a gaming device! because it is portable and has a cool add on controller. The Wikipad is a great gaming device because it is mobile, universal and easy to work with. versatility and the controller attachment. The Wikipad is a great gaming device because its versatility: it is like having two devices with different uses in one. ...because it leverages the interoperability of Android with physical buttons. It is portable and convenient and a controller thats a great gaming asset. The Wikipad is a great gaming device because it has the best of the best features! The Wikipad is a great gaming device because it's powerful AND portable AND has a proper controller ! Because the graphics are great! It's portable, it's different and it combines gaming with other functions...my son would love it!!! The Wikipad is a great gaming device because.. I'm over 40 and the small screens are getting harder to read for gaming. It keeps the kids busy in the car!! The Wikipad is a great gaming device because it is a way to bring console gaming to the mobile phone and tablet market. The Wikipad is a great gaming device because...you can use it as an tablet and as a game console with the controller! It is great because my son said it was, he's a gamer. The Wikipad is a great gaming device because it's also a tablet. Buttons to control the gaming experience. it provides great gaming on the go! because it is great as a tablet or gaming advice. because it is great as a tablet and great as a gaming tool. because it has nice spec and design. The Wikipad is a great gaming device because it can switch to a tablet. It also has a good sized screen to play on. Definitely because of the controller! The Wikipad is a great gaming device because of the sheer ease of availability of new games faster than other gaming platforms, total cost of spending on games will also be much less on this device. it is affordable, expandable, and it has great games available. THERE IS ABSOLUTELY NOTHING ELSE LIKE IT!! I like the wikipad because I am a fan of Google and I believe they have a conscience about what they do. What a great combination - a full-featured Android tablet and a gaming console in one! you can take it with you, for me to use I am always waiting at some kind of doctors office, while my daughter is being seen. The Wikipad is a great gaming device because it has enough physical buttons. The Wikipad is a great gaming device because it's also a very competent tablet! Two, two, two for the price of one! The Wikipad is a great idea, because it can be used as a portable tablet or a portable gaming system, with an innovative transformation between the two. 3 - It features Jelly bean!! because of the controllers and size!! The Wikipad is a great gaming device because it has them controllers! Brilliant addition to a tablet!!!! controller is the best thing!!! The WikiPad is a great gaming device because it offers flexibility between an entertainment focused tablet and a dedicated gaming device. The Wikipad is a great gaming device because it's a tablet, it runs Android and it plays games. Who can ask for more! The Wikipad is a great gaming device because it has an actual gaming controller, fantastic to my mind. because i said so, no jk, in regards to my son he could his homework and studies and also play games. although i am not sure how much studying he would actually get done. Android makes all the best advancements in gaming! I wouldn't have to share a tablet with my teenage son, who just wants to play games on it! Because it's a great combination in one solid package and a great price. Because it's a great combination in one solid package. it's much more than just a gaming device. the external controller allows two kids controlling the console at the same time. Something that we used to do when we were little kids. a great way to keep them busy for a while. Access to games not available on other Android devices, the controller, and ability to use it as a tablet. it has its own controller. It is so versatile being able to play android games, emulate a multitude of gaming devices and can also run some games from PlayStation Mobile. it's portable, and has a chance to be won by someone lucky. It's a great gaming device as it will interact with Playstation plus having it's own games to download. Plus I can then give it to my son and he'll get off my PC leaving it for me to do things I need to! It has the controller right on it, no extra wires ! The Wikipad is a great gaming device because it is a decent tablet too. Wikipad tablet is a great gaming device because you can use it as a gaming machine and a tablet. And it runs an excellent Android Jelly Bean. will be great to play with the game controller. it has a great ergonomic comfortable controller! The Wikipad is a great gaming device because it will be fun, Fun, and More FUN!!! The Wikipad is a great gaming device because it gives the public another way to game without relying on the touch screen. My thumbs get in the way. The Wikipad is a great gaming device because..it has its own gaming controller attached to it. The controller just slides in and out so it can easily be used as a tablet at well. It comes with two different sets of competitors. It looks so cool that my daughter and son-in-law, even geekier than me. will wants it so much so they will have to say something nice to me to get it. Right???? The Wikipad is a great gaming device because my son can play anywhere and use it as a tablet instead of using mine. because of the controller, great games and cost. It's got a good design, As the controls are removable. it is open source based and the capabilities are endless. It runs games smoothly and good, physical buttons will always work better for core games. It offers a similar level of power to other tablets around the same price, and it does so with a fantastic piece of additional hardware. Because it can be used for gaming and as a tablet! why is the password so difficult to find? The Wikipad is a great gaming device because i combines a nice android tablet with a powerful controller. of its compact, in-hand design; versatility for multitasking; and the high speed / power use ratio of the Android OS. The Wikipad is a great gaming device because of its ability to be used a an tablet as well as a gaming device. because of it's competitive pricing. Its easy simple and fun!! It's highly portable and versatile! Because its going to be fun, fun, fun! Enables gaming on the go! ... it provides physical controllers. The Wikipad is a great gaming device because... It combines the strengths of an awesome tablet like the Nexus 7 and a dedicated controller of a game system, all in an affordably competitive price for both categories. The WikidPad is a great gaming device because not only is it wikiddd ahhsumm, but if one were to give one away one might as well milk it for encouraging people to post on the comments. It is, after all, a promotion. The Wikipad is a great gaming device because of its functions and it is portable. The tablet can be put to multiple uses. It has a controller which is pretty awesome looking actually! The Wikipad is a great gaming device because.it's a fast tablet well suited for gaming. The Wikipad is a great gaming device because it gives the user a gamepad with the power of an Android device. because it's a table with a game controller. The Wikipad is a great gaming device because it combines traditional gaming controls with the portability and ubiquity of Android tablets. The Wikipad is a great gaming device because you really get two viable gadgets, a portable gaming device and high quality tablet, in one nice package and at an affordable price to boot. It uses the NVIDIA Tegra 3 mobile processor with quad-core CPU which is renowned for being a technology very well optimized for gaming. The Wikipad looks like a great gaming device because it mixes an innovative wrap-around gamepad with a portable tablet computer that runs Android. Because of it's large memory and processor capabilities. it is great for the reto games that are available especially the mame. The Wikipad is a great gaming device because as a tablet it improves upon the Nexus 7 core adding HDMI output and microSD card support as well as PlayStation Mobile access (verdict on how useful that is is still out, though) and adds a full featured controller. Not only is a fully functional tablet on par with many of the better tablets out there both specs and price-wise, but it is evidently an awesome gaming device, too! Plus, the addition of Playstation Mobile capabilities, as well as emulation capabilities, makes this a must have. ...of the attached gaming controller. It gives it more control, more like console systems. Not only is it a handheld gaming device but it's a tablet too AND the 1GB ram makes it incredibly appealing! The Wikipad is a great gaming device because of it's combination value rocks! Because it's affordable enough for my school to buy one. Because it combines the portability of a standard tablet and the playability of a gaming system - 2 for the price of one! Well, it has been a very long time since my old _original_ Nintendo. I confess I'm not much of a gamer, but a tablet and a game pad in one? Why not? ... and maybe for once, I'll win something? .... I hate the touch screen Controls.. That alone makes this thing great. Its a great gaming device because for one REASONABLE cost you are in effect getting TWO devices. it's a great combo between standalone and tablet. ...of the relatively strong hardware given to it allowing the user to run just about all the android games that have been released. Because its an Android tablet. I live in an iPad house. because I love a regular controller! I would love to check this beauty. Best thing is that the controller is disconnectable. when you want to play you connect it but for reading a book you can disconnect it. Great. Because it can be used for gaming and Tablet too. It's a great tool to bring on road trips. it enables greater gaming control! 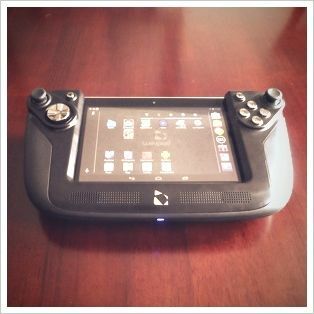 The Wikipad is a great gaming device because it's portable..it has a Tegra 3 cpu and I like it's design! Good luck everyone, but I hope I'm the winner! Complete this sentence: The Wikipad is a great gaming device because it's cool. Complete this sentence: The Wikipad is a great gaming device because it is lightweight, portable and reliable. Perfect companion. Thanks! Sweet1 My son and I would love playing with this gaming tablet but probably fight over who gets it first. Because of gaming controllers that is has on board. A great step towards mobile gaming. With a controller and game stores right out of the box, the Wikipad will be a big hit, and possibly a competitor for traditional mobile gaming systems. The Wikipad is a great gaming device because the controller gives it a real gaming feel. It runs on Jelly Bean. 'Nuff said. because it's designed from the start to be a gaming on the go device. of "its performance as a tablet and a gaming machine," and because "It offers a similar level of power to other tablets around the same price, and it does so with a fantastic piece of additional hardware." The Wikipad is a great gaming device because...it combines the awesome Android OS with proper (classic) gaming controls; making the experience for mobile gamers something much more worthwhile. It has a microsd slot for expandable memory! The Wikipad is a great gaming device because it bridges the gap being a "gaming only" device and one that you can use to help you along with the rest of your life. I have always thought that the PSP and other gaming handhelds chould have (should have) added some basic functionality for contacts, calendaring and email. In the Wikipad, you have such a device. Because you can play emulators! Because it's portable and the controller. The Wikipad is a great gaming device because it packs great hardware into an innovative gaming-centric package. because it includes the two major things that people want out of a tablet - the tablet itself for internet, email, etc., and gaming. This includes a controller which makes the gaming aspect that much better. ... it puts a tablet with good specs together with dedicated gaming controls. of everything that I have learned about it at this site. it blends two devices into one without compromising speed or function. It's versatile as a gaming device or tablet. The Wikipad is a great gaming device because it gives me the buttons i so desperately need to properly play games. It has the best of two worlds! The Wikipad is a great gaming device because its something new and have to try it out! It's a great gaming device because of the cool controller! it combines a solid tablet experience with a good platform for gaming on the go! The Wikipad is a great gaming device as well as a tablet. Sounds like a great combination. Game controls as well as tablet....its the best of both worlds especially with all the apps you could use it with. The Wikipad is a great device because of it's technical capabilities! ........because it is a tablet with the bonus of a game controller. It supports a lot of great games, is designed for comfort and ease of use, as well as it allows gamers to use it as a standard tablet (which many games work better that way) in addition to the controller add-on unit. The Wikipad is a great gaming device because of distinction comes from that detachable controller sleeve, mirroring most console controls with two analog sticks, a d-pad, a couple of navigation buttons, four primary ABXY buttons shoulder buttons and triggers, and some boosted speakers. all of that in one portable gadget. It's the best handheld device on the market. Its a combination of a tablet and controller rolled up in one device! The Wikipad is a great gaming device because of its flexibility and options, including a controller. you can use it as both a big gaming touchscreen and as a pretty sweet (not to mention affordable) android tablet. The Wikipad is a great gaming device because it is rugged enough to withstand my daughter's abuse. It lets your gaming be portable and from anywhere! The Wikipad is a great gaming device because...it has it all!! Great size, great game and a tablet to serf. its built from the ground up for gaming and will be a better machine because of it. The Wikipad is a great gaming device because it can be used as a tablet also and it has Jellybean OS. The Wikipad is a great gaming device because it can also be used as a regular tablet and then you add the sleeve which converts it. The dedicated gaming controller just slides in and out, it is easy to switch back and forth between gaming and tablet usage. It is mobile and versatile. The Wikipad is a great gaming device because it has hardware buttons and a Tegra cipset! Because the gaming controller slides in and out. It's Very Convenient For Gamers!!! It can be used as a tablet or gaming device. The Wikipad is a great gaming device because potato. The Wikipad is a great gaming device because the "buttons" on many touch-screen games are virtual. Because it gets the benefits of both tablets and game machines. it makes playing games that more fun. ...it's small enough to be portable and big enough to enjoy gaming. Android's speed and versatility with a game controller. I like the whole versatility of the unit. I have never seen anything like this before...So handy to not have all the different gadgets to play a game! Its something new. You can use it as a game or a ipad. It's great for gaming, it's portable, and it is a tablet! Nice Giveaway! I don't do gaming but my son and grandkids do and they say this is one of the best systems out now. The Wikipad is a great gaming device because...it is neat and would like win one. new 7-inch Android tablet it features a dedicated gaming controller attached directly to it. I'd give it to my friends and my relatives, that would free up space on the computer. Tactile feedback is always best for gaming. The Wikipad is a great gaming device because...the specs. Wikipad is a great gaming device because it's both a tablet and a gaming device! The Wikipad is a great gaming device because it a combination of both awesome gadgets - tablet PC and Gaming device! The wikipad is a great gaming device because it offers something no other tablet does, a gaming experience. because of wide range of games. Its a 2 in 1 killer. A tablet and a portable gaming console. Great to play tablet/ mobile games or heavy games which is better suited for physical button. The Wikipad is a great gaming device because it is an android tablet with the latest version that can also be used as a gaming pad. The Wikipad is a great gaming device because.. it's the ultimate gaming device on the go! The Wikipad is a great gaming device because of its controller as i love physical controller, and also is very easy to carry around. portability and gaming in one box, not something easy to get these days. The Wikipad is a great gaming device because I can use it to play my games OR surf the internet! The Wikipad is a great gaming device because I don't know. It looks nice but I need one to play with for sometime and only then I can say if it is great. The Wikipad is a great gaming device because it has real buttons! The Wikipad is a great gaming device because... it is rather versatile compared to a more traditional console. because it looks like wii U and combination of gaming device and a tablet. really cool that it has a 1 gig RAM. Can definitely handle the apps that were made for tablets. It does so much more than a straight gaming device. Because it looks real cool. The Wikipad is a great gaming device because it is Android based device. The Wikipad is a great gaming device because it expands upon the gaming functionality of an Android tablet in a natural way. Also, you sort of get 2 devices in 1 - a tablet and a portable gaming system. The Wikipad is a great gaming device because its android. Android is an amazing platform. it looks like the totally awesome and extremely popular Game Gear I had as a child. The Wikipad is a great gaming device because is saving my cost to buy game and enjoy to fullest heart content of free gaming thru android market or crack apps. The Wikipad is a great gaming device because it helps promote Android as a viable gaming solution. The Wikipad is a great gaming device because its a game controller that you're familiar with for a small tablet. Fun Gadget: tablet and gaming console in one!